With Easter right around the corner I decided to make some fun themed cupcakes to get in the spirit of the holiday. 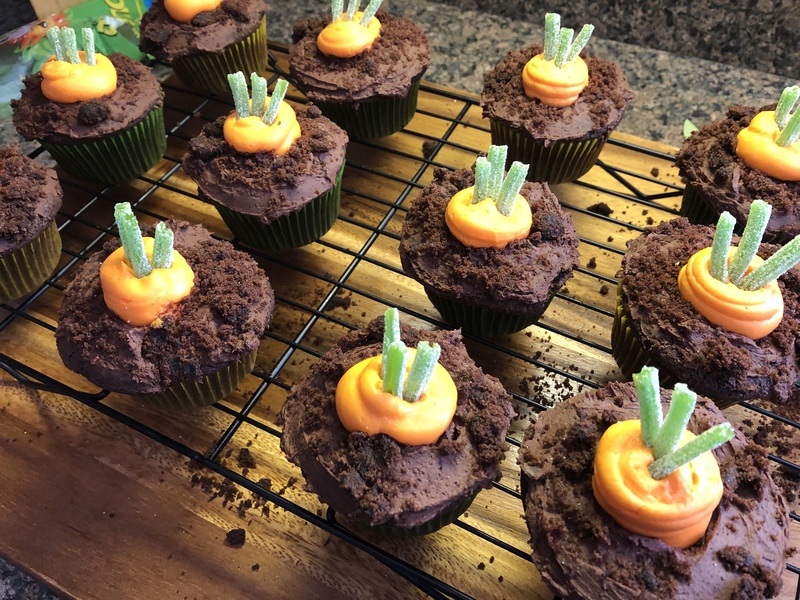 Today I am sharing with you these Sprouting Carrot Cupcakes and later this week I will be sharing with you Bunny Ear Coconut Cupcakes. I began by baking a batch of chocolate cupcakes. While they cooled, I made the frosting. I made a basic buttercream frosting and then removed a third of it. In this third I stirred in melted unsweetened chocolate until it was fully incorporated. I tinted the remaining frosting orange and then transferred it to a piping bag fitted with a large round tip. After the cupcakes were cool I used a paring knife to cut a small cone-shaped piece out of the center of each one. I crumbled these small pieces of cake into a small bowl and set it aside. 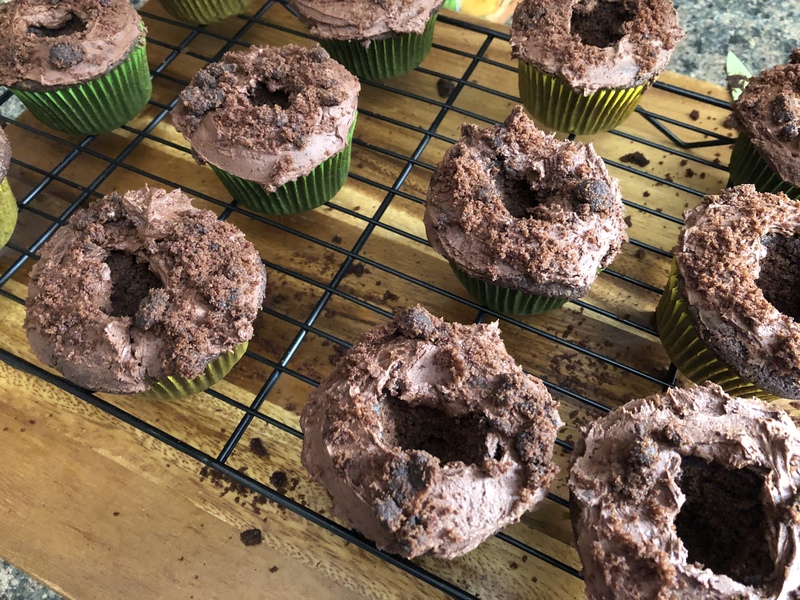 Next, I spread the chocolate frosting over the cupcakes leaving the holes open. I then patted the crumbled pieces of chocolate cake onto the frosting to resemble dirt. To make the carrots I piped the orange tinted frosting into the holes and then mounded it a bit above the hole. And finally, I cut small pieces of green sour apple straws and placed them in the piped carrots. 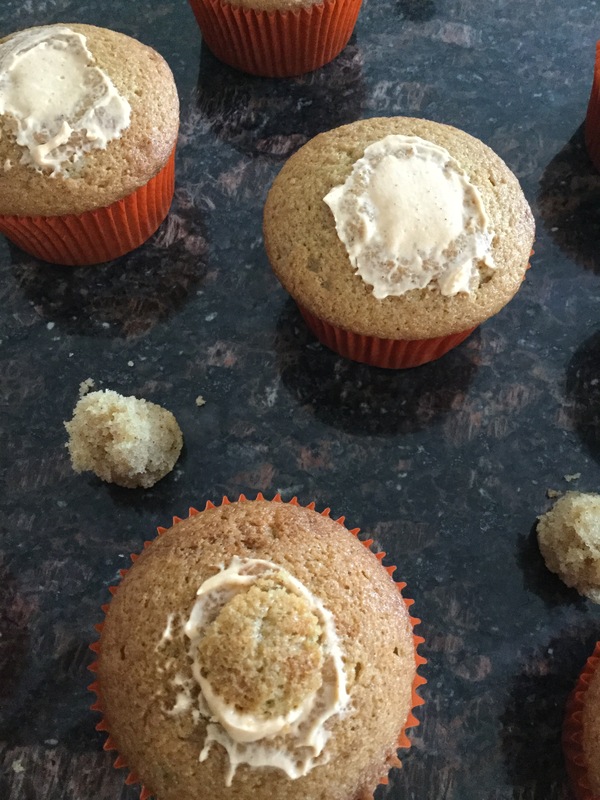 And there you have it… Sprouting Carrot Cupcakes. 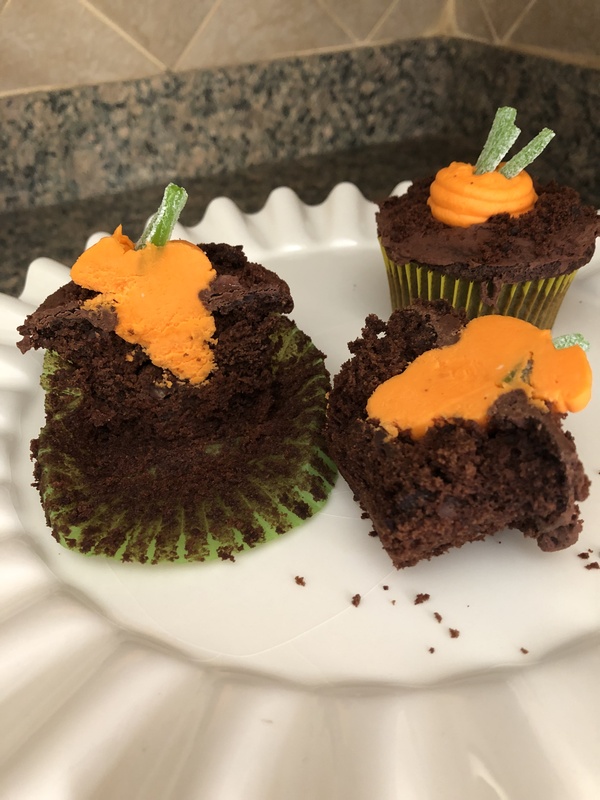 While I opted to make my cupcakes and frosting from scratch, you could easily go the time-saving route and use a box chocolate cake mix and store bought chocolate and vanilla frosting. If you opt for store bought frosting I would advise refrigerating the vanilla frosting after tinting it orange for about 10-15 minutes prior to piping the carrots. Store bought frosting tends to be on the softer side so decorating with it can be frustrating since it won’t take shape, refrigerating it helps to stiffen it. Happy Fall! My favorite time of the year is upon us. Although, while in my kitchen the other day looking in my backyard I noticed that my least favorite part of the season had already begun… the falling leaves. I am not a fan of raking leaves. And since I have quite a few trees in my backyard that are a welcome blessing in the hot summer they become the complete opposite when the cooler temps of the fall roll in. Oh well! 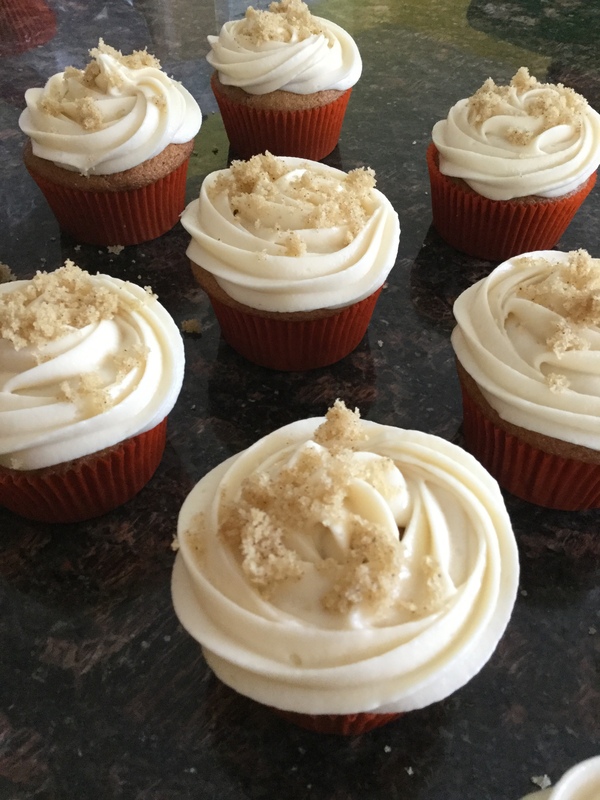 In honor of the first full day of fall I am sharing with you cupcakes that tie together the flavors of fall deliciously, a spice cupcake with a pumpkin mousse filling and topped with a cream cheese frosting. 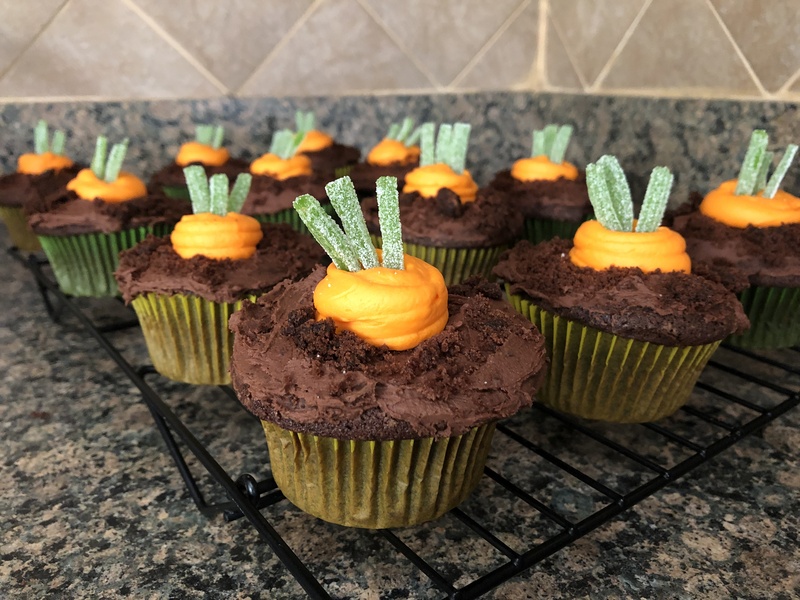 I actually made these cupcakes while visiting a close friend in Virginia who happens to enjoy pumpkin spice items as much as I do. We actually text each other different food items we come across in pumpkin spice flavor, come to think of it, we text each other for a lot of out of the ordinary flavors we come across… Especially with Oreos. As they were cooling I prepped the pumpkin mousse. Now, I cheated a bit to make the mousse. For most of my cakes I use Jell-O Instant Pudding Mix combined with a cup each of whole milk and heavy cream and beat it until it’s smooth and thick. I’ve done it with vanilla and chocolate flavored Jell-O and I finally tried it with their Pumpkin Spice flavor. You should be seeing it on store shelves soon as fall is right around the corner. I purchased a few boxes last year that haven’t expired yet. Now, the nice thing, you can actually eat this mousse as dessert all by itself, so if you choose to make the entire box of pudding you will have some extra to enjoy. If you don’t want extra, use half the pack and only 1/2 cup each of whole milk and heavy cream. 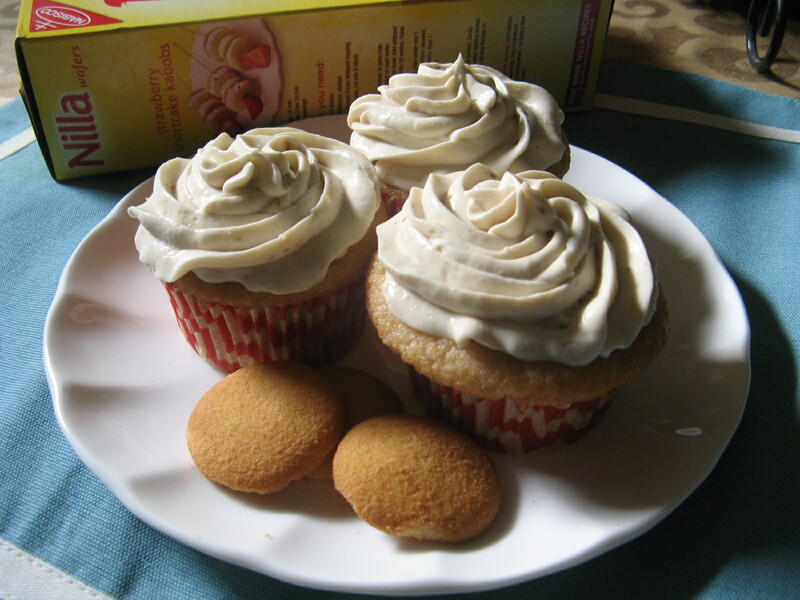 You can also omit filling the cupcakes and just top them with the cream cheese frosting… They will be just as delicious. Once the cupcakes had cooled I cored the center of the cakes and filled them with the pumpkin mousse and then topped them with a small piece of the removed cupcake. 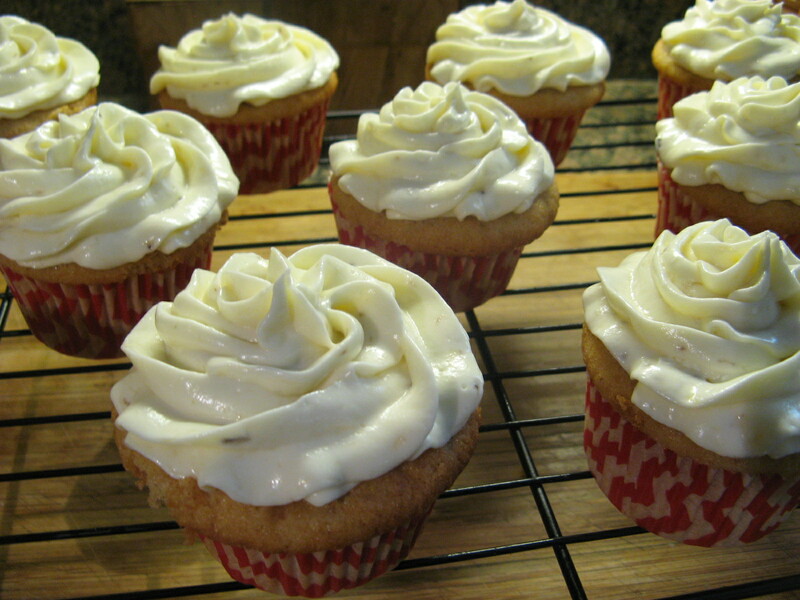 Next, I whipped up some cream cheese frosting and piped it on top of the cupcakes. Finally, I crumbled some of the cupcake crumbs left over from coring and sprinkled them on top of the cupcakes. Finally verdict… DELISH! 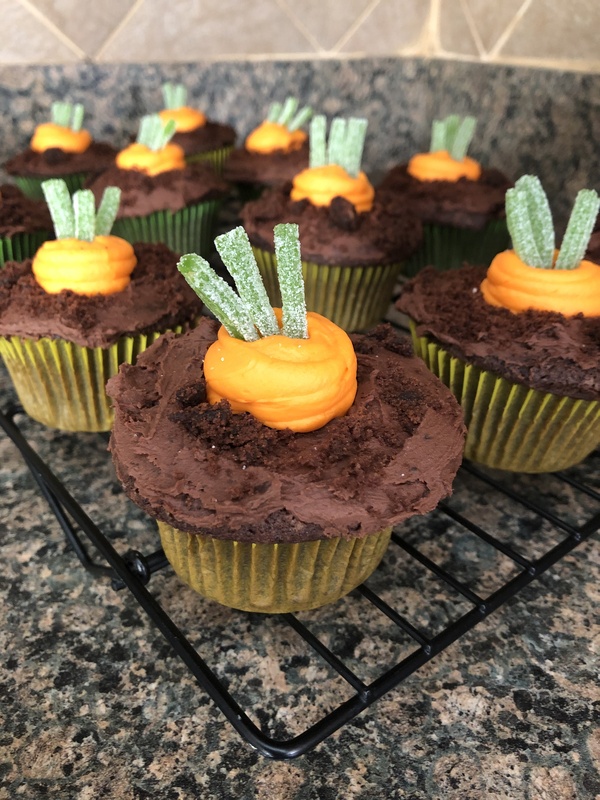 Just might be the perfect cupcake for the fall! Preheat oven to 350 F and line a 12-cup muffin with liners. 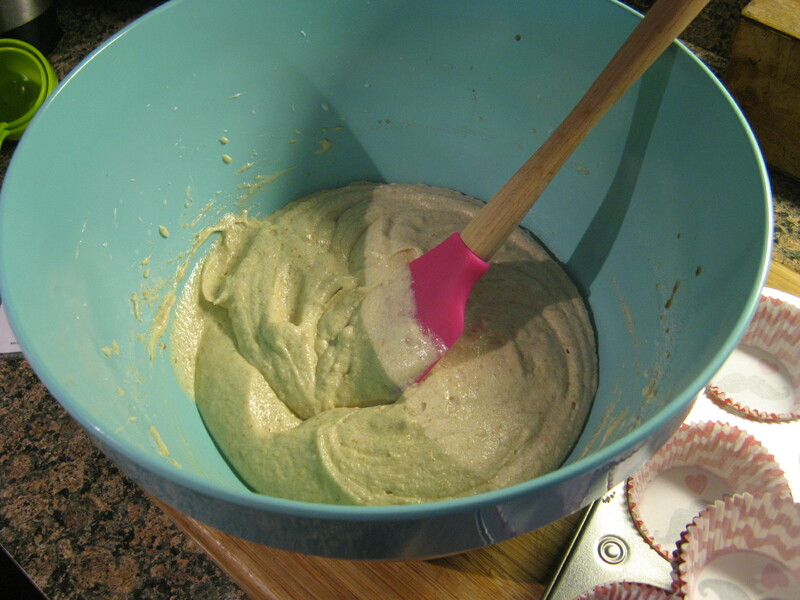 In a medium bowl whisk together the flour, baking powder, baking soda, salt, cinnamon, ginger and allspice and set aside. 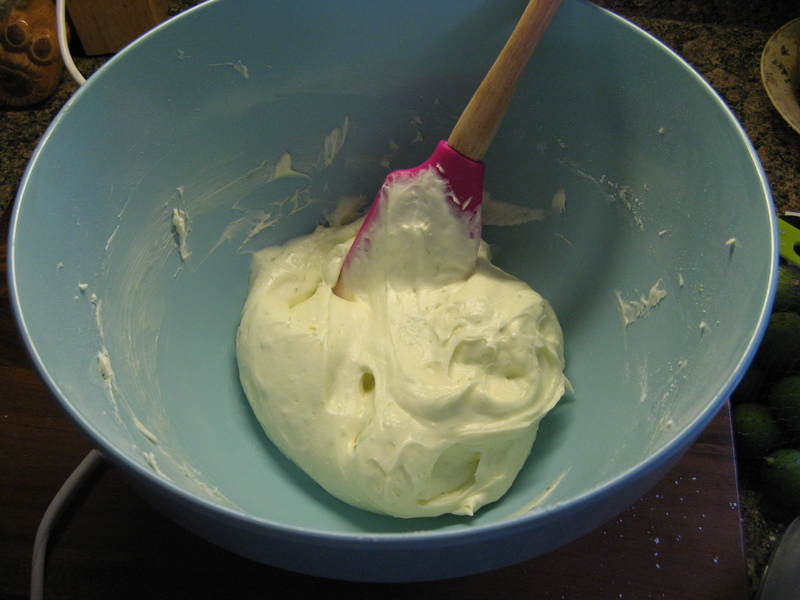 In a separate bowl whisk together the melted butter, both sugars, sour cream, eggs and vanilla. 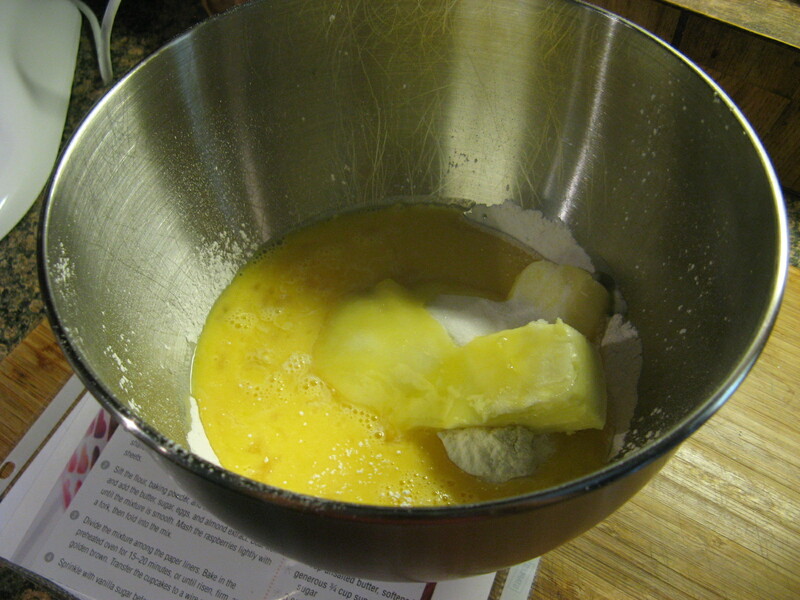 Whisk the flour mixture into the egg mixture until just combined. Divide the batter among the muffin cups, about 1/4 cup in each. Bake for 18 to 20 minutes, until a cake tested inserted in the middle comes out clean. 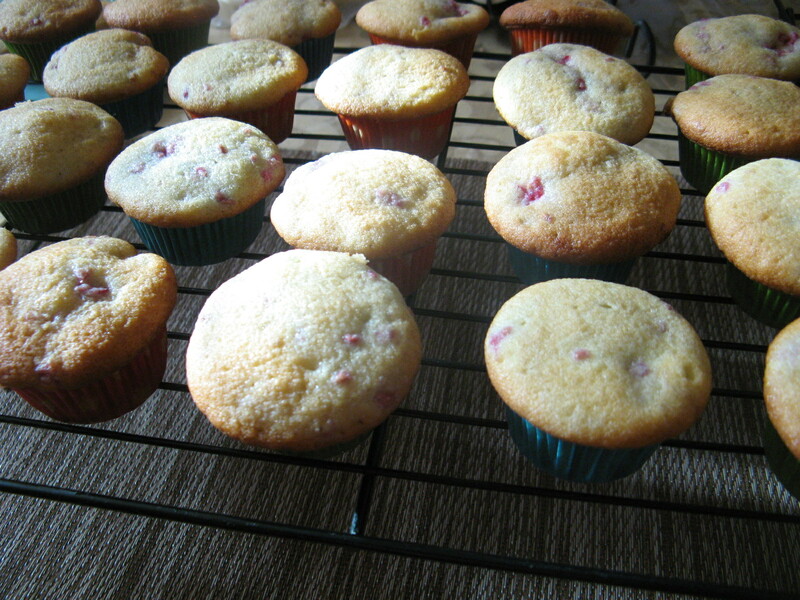 Let cool in the pan for 5 minutes and the transfer the cupcakes to a wire rack to cool completely. While the cupcakes are baking and cooling make the mousse & frosting. To make the mousse, combine all of the ingredients in a medium bowl and beat with a hand mixer on medium speed until thick and smooth. Refrigerate until ready to use. For the frosting, beat the butter, cream cheese, vanilla extract and salt on medium speed until cream. Gradually beat in the confectioners’ sugar on medium-low speed until smooth and then beat on medium-high speed until thick and fluffy. Set aside until ready to use. If not using immediately refrigerate until ready to use. You may need to bring to room temperature before using it. Core the cupcakes and spoon the mousse to just about level and then top with the removed piece and then frost with frosting. So, what have you been baking this Holiday season? Cookies? Cupcakes? Cakes? All three? I haven’t baked a cake yet, but, I have baked my fair share of cookies. Did you catch any of my Cookie Palooza recipes last week? There were some good ones in there. Today though I am bringing you a cupcake that encompasses a few flavors of the season… Eggnog and Cinnamon in an Eggnog Cupcake with a Cinnamon Buttercream Frosting. I highly suggest you use an eggnog that you like as opposed to any old one you happen to come across at the supermarket and don’t worry if you don’t like eggnog these cupcakes are not overpowering with the flavor. 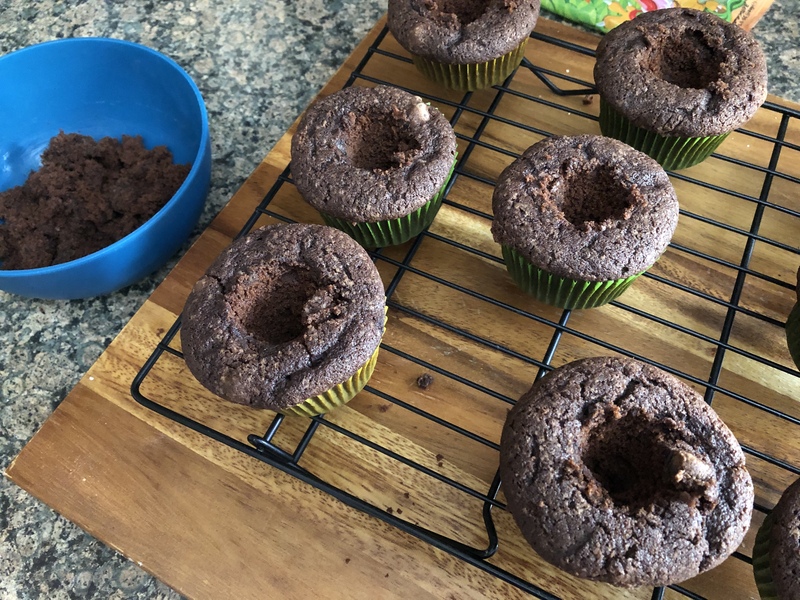 To make the cupcakes I began by stirring together all the dry ingredients in one bowl – flour, sugar, nutmeg, baking powder, baking soda and salt. In another, using my hand mixer I beat room temperature butter until it was creamy. I then added in all of the flour mixture and continues beat the mixture until it resembled crumble topping. And finally I added in the eggnog and mixed it on low speed until the batter was silky and smooth (kind of a funny way to explain cupcake batter). I baked them in a 350 F pre-heated oven for about 25 minutes and then transferred them to a wire rack to cool completely. 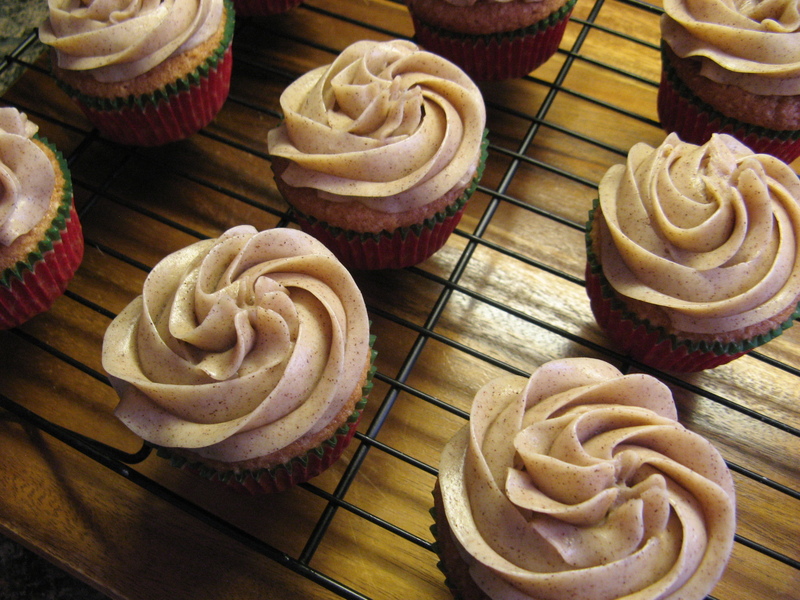 Once cooled, I topped them off with homemade Cinnamon Buttercream Frosting. This frosting is so good I could just eat it out of the bowl. I had to refrain from too many taste tests since I needed enough to frost the cupcakes! 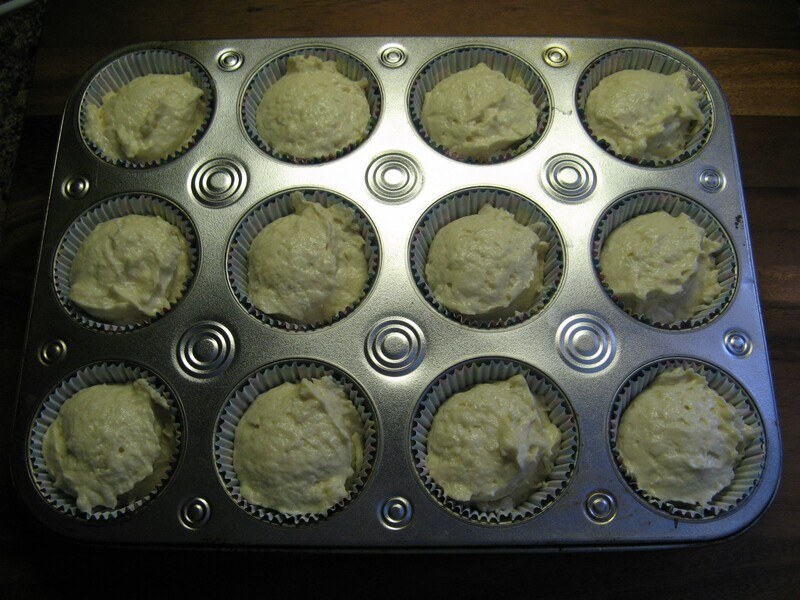 Preheat oven to 350 F. Line a 12-cup cupcake pan with cupcake liners. In a medium bowl stir together all of the ingredients except the butter, eggs and eggnog and set aside. 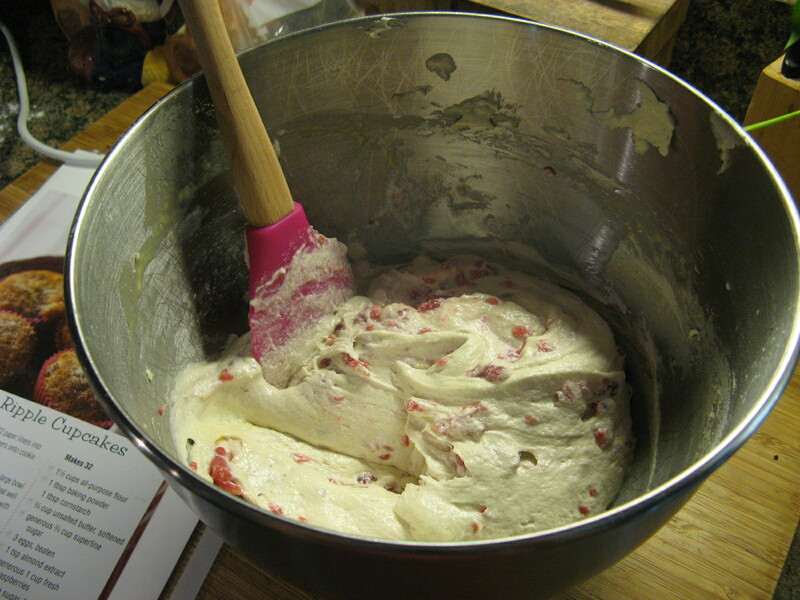 In a large bowl beat the butter with a hand mixer on medium speed until creamy. 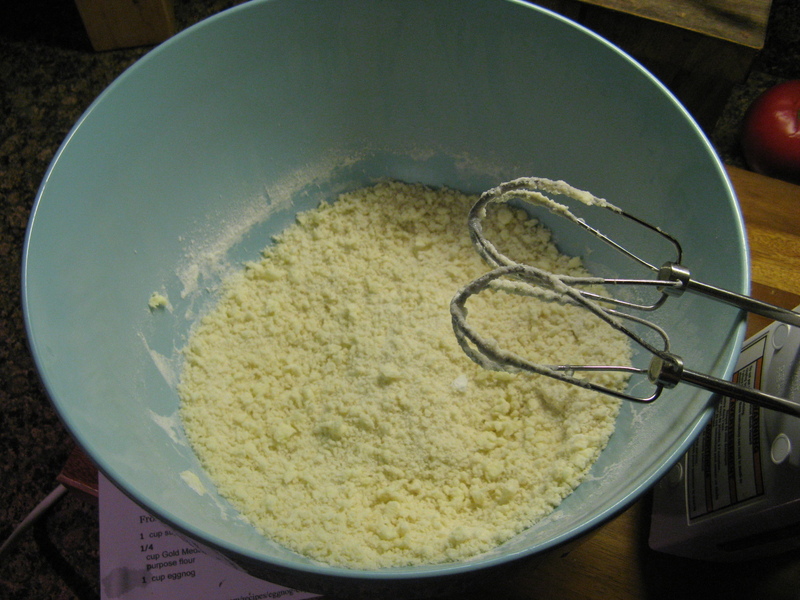 Add all of the flour mixture and continue beating until it mixture resembles a crumble topping. 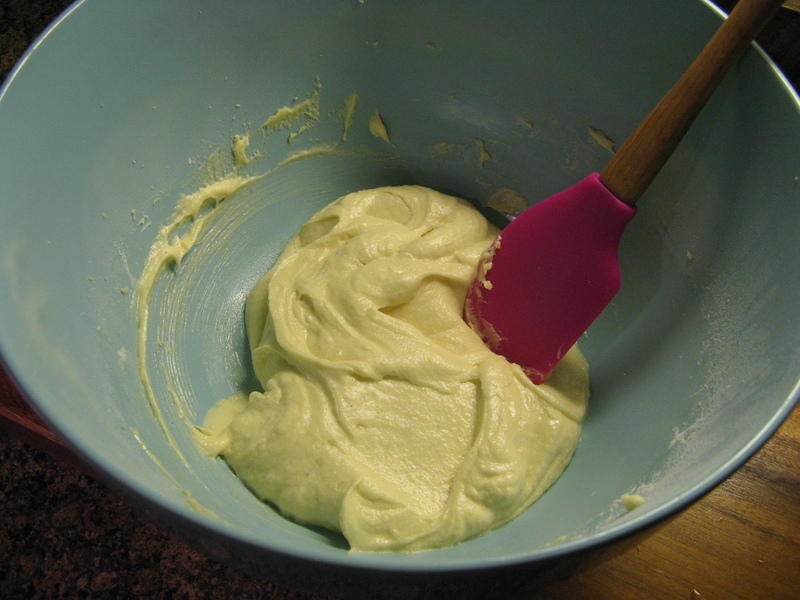 Add the eggs and beat for an additional minute; the batter should be light in color and a bit fluffy. Scrape the sides of the bowl as necessary. Finally, beat in the eggnog gently until just combined and the batter is silky and smooth. 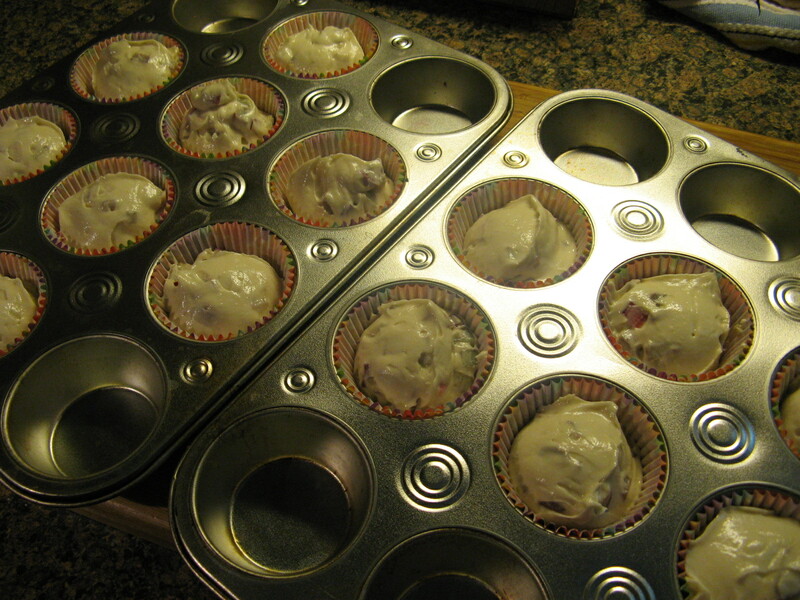 Divide the batter evenly among the cupcake pan (about 1/4 cup each cavity). Bake for 25 to 28 minutes or until the tops of the cupcakes spring back when lightly touched in the center and a cake taster comes out clean. Transfer to a wire rack and cool completely before frosting. 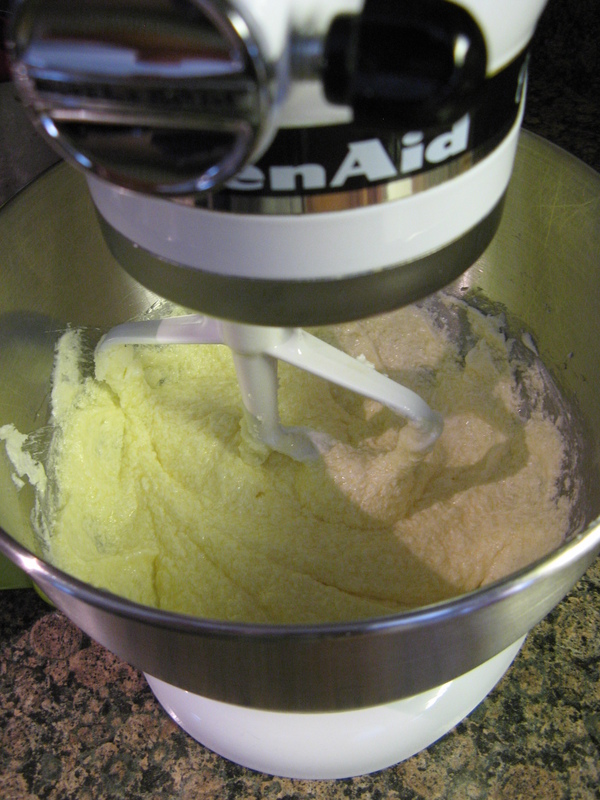 Using a handheld mixer or stand mixer, beat the butter and vanilla extract on medium speed until light and fluffy. Stir the cinnamon into the confectioners’ sugar, gradually add this to the butter mixture. Beating well after each addition and scraping the sides of the bowl as necessary. Add milk (or heavy cream) and continue beating until the frosting is light and fluffy. If you find that the frosting is a bit thick and heavy to spread add more milk/heavy cream to thin it down. Happy Cinco de Mayo! It’s the perfect day to enjoy some guacamole, a few tacos, a shot of tequila or a nice cold margarita. That brings me to today’s post. 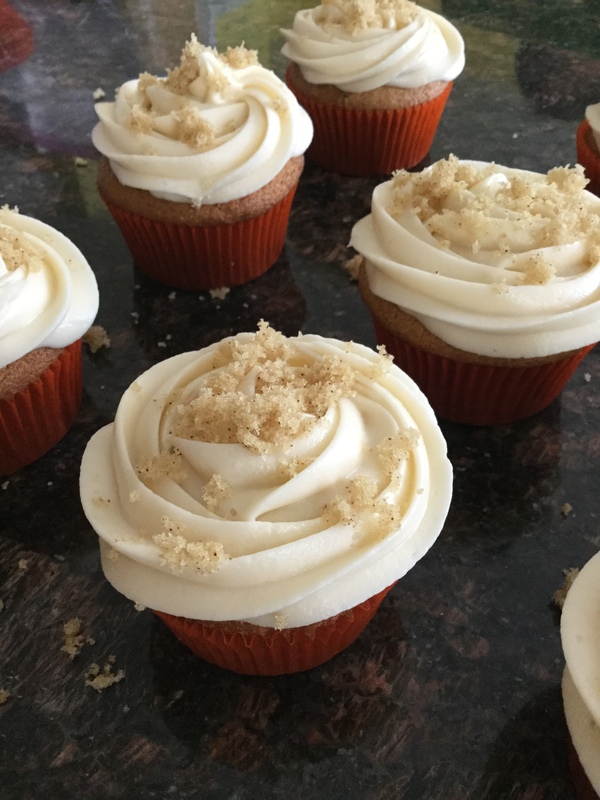 I’ve made some delicious treats in honor of this day in the past – churros, tres leches cupcakes, Mexican wedding cookies and sopapilla cheesecake – and this year I was thinking of making Margarita Cupcakes. 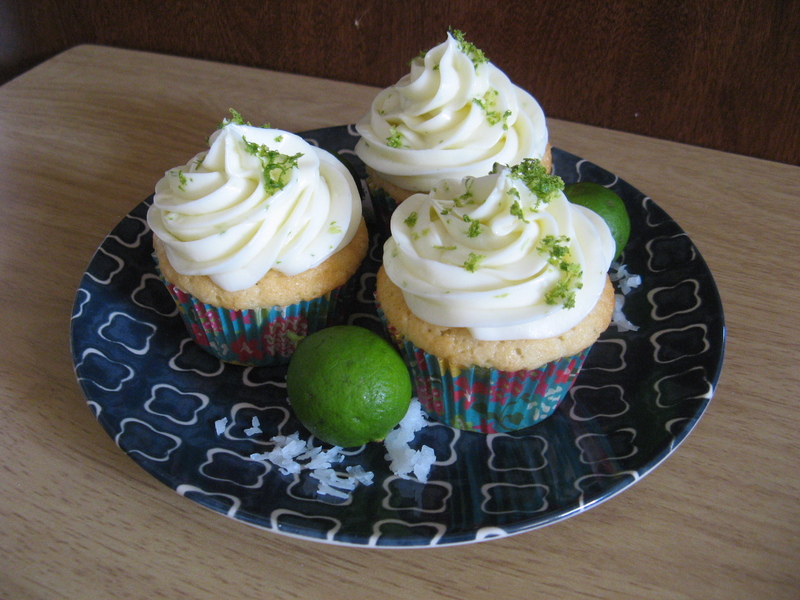 But, since I didn’t have any tequila on hand (all the recipes I came across had this margarita staple in the ingredient list) I opted for something non-alcoholic and just as festive… Coconut & Lime Cupcakes – a coconut cupcake with a key lime cream cheese frosting. 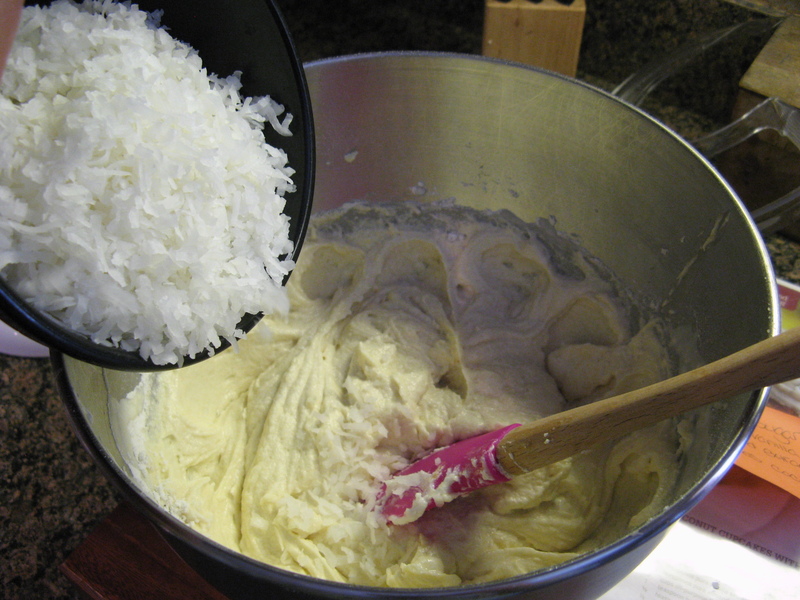 To begin I made the coconut cupcakes… In the bowl of my stand mixer I mixed together sugar and butter until it was light and fluffy – about 5 minutes on medium speed. I then reduced the speed to low and added in three eggs – one at a time. Next I added in buttermilk, and a sifted mixture of flour, baking powder, baking soda and salt. I alternated between adding the two beginning and ending with the dry ingredients. Oh, and can I just take a moment to say that I love this silicone bowl to add things into my running mixer. It’s completely flexible so I can form it into the perfect shape to pour the flour into the bowl and not have it fly all over the place. I used to use a pouring shield but I always had the flying flour issue with it. Check out this link if you have been searching for the perfect bowl to add dry ingredients to your batter while mixing. Once the batter came together I folded in sweetened shredded coconut. And finally, using an ice cream scoop I divided the mixture among a 12-cup paper lined muffin pan and baked it in a 325 F preheated oven for 25 minutes. Once they were out of the oven, I let the cupcakes cool in the pan for 15 minutes before removing them and letting them cool completely on a wire rack in preparation for frosting them. After letting the cupcakes cool I got to working on the frosting – a key lime cream cheese frosting that has the perfect combination of sweetness and citrus flavor. I began by creaming together cream cheese, butter, key lime juice and key lime zest until it was creamy. 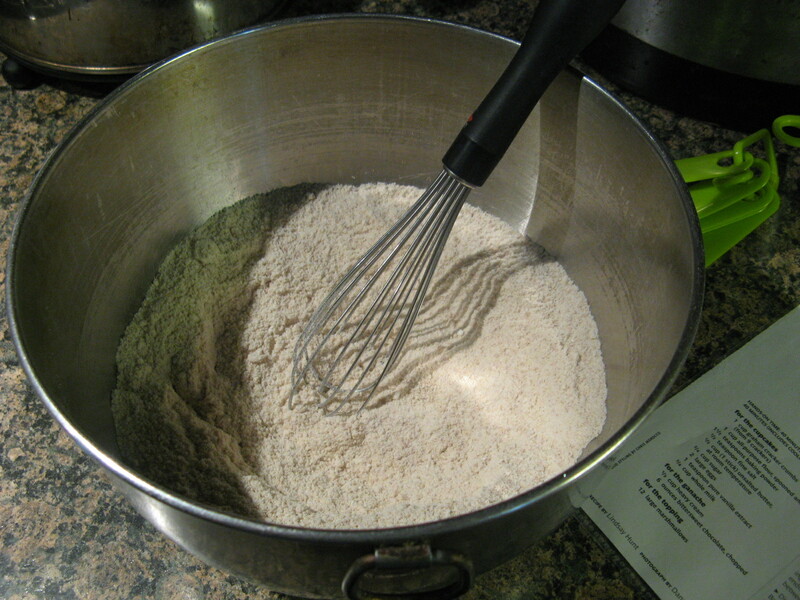 Next I added in 2 cups of sifted confectioners’ sugar one cup at a time – mixing well after each cup. 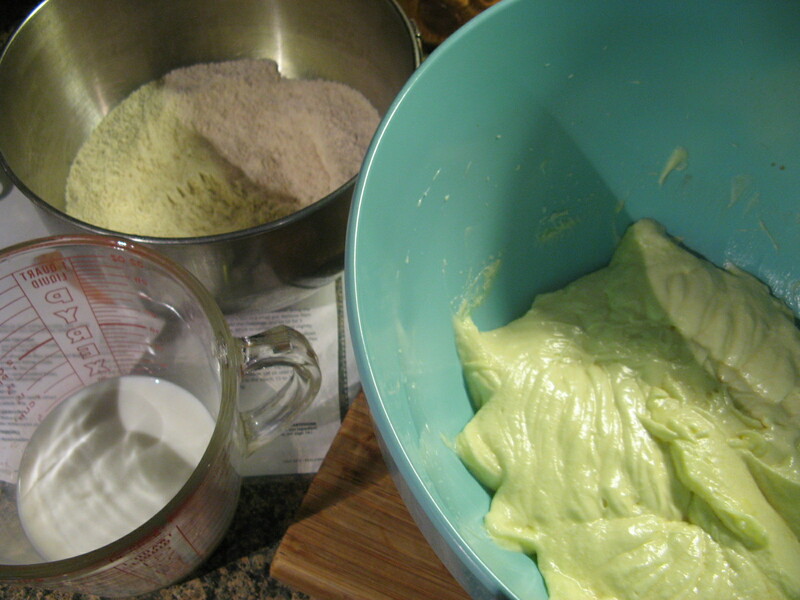 Just to note, if want more of a lime flavor you can add more of the lime juice, but, you may have to balance that with more confectioners’ sugar since you don’t want your frosting to become too thinned down. Prior to frosting the cupcakes I popped the frosting in the fridge for about 10 – 15 minutes so the frosting would be firmer to pipe with. 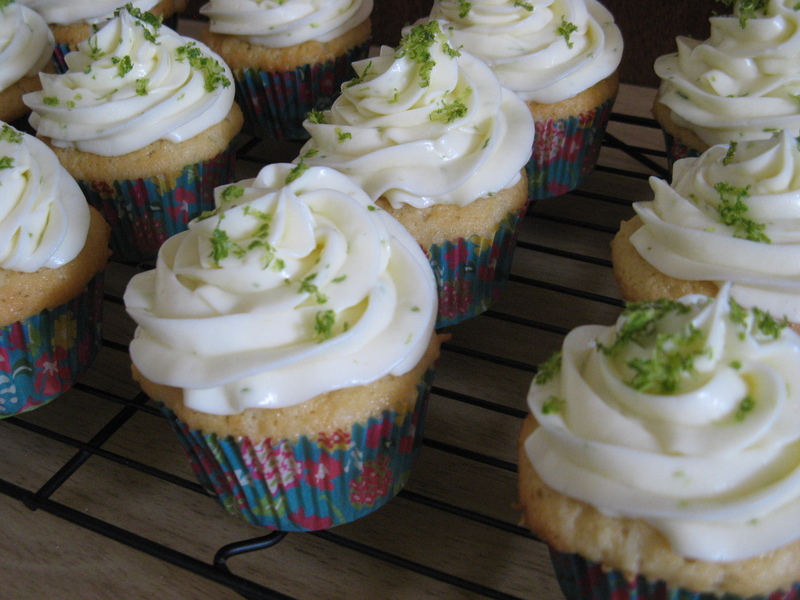 And after frosting each of the cupcakes I sprinkled them with a bit of lime zest. 1. 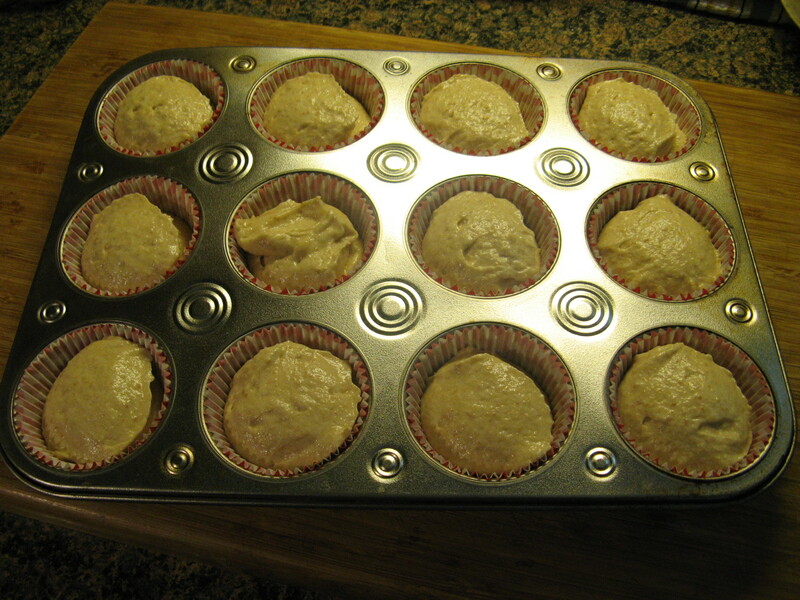 Preheat the oven to 325 F and line a 12-cup muffin pan with paper liners. 3. Using a stand mixer or electric hand mixer cream the butter and sugar until light and fluffy, about 5 minutes on medium speed. Reduce the speed to low and add the eggs one at a time, scraping the sides of the bowl down after each addition. Add in the vanilla and almonds extracts and mix well. 4. 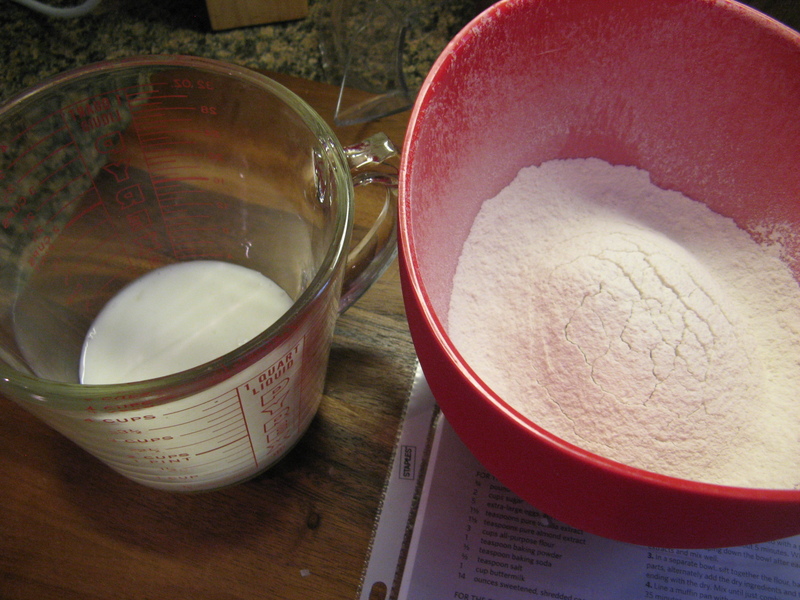 In three parts, alternately add the flour mixture and the buttermilk to the batter, beginning and ending with the flour mixture. Fold in the coconut. 5. 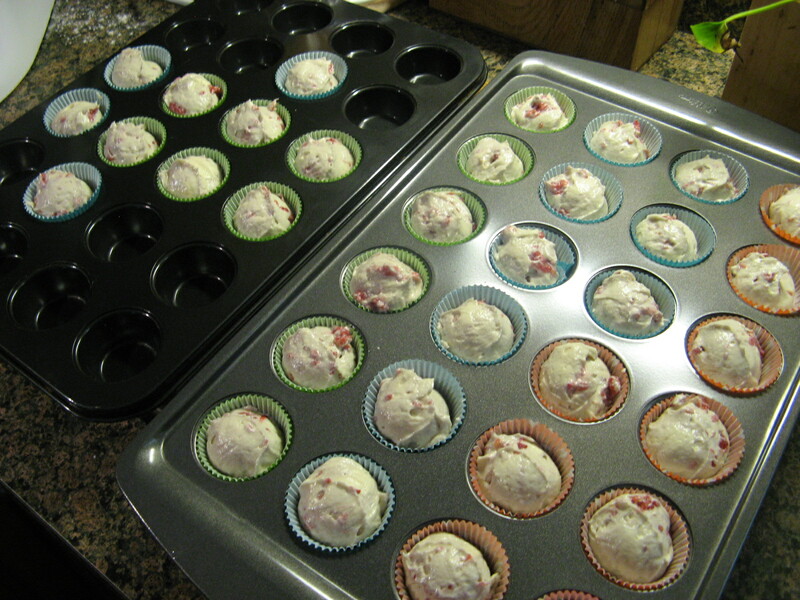 Fill each cup of the muffin pan to the top – an ice cream scoop is the perfect size to fill the cups. Bake for 25 to 35 minutes, until the tops are slightly brown and a toothpick comes out clean. 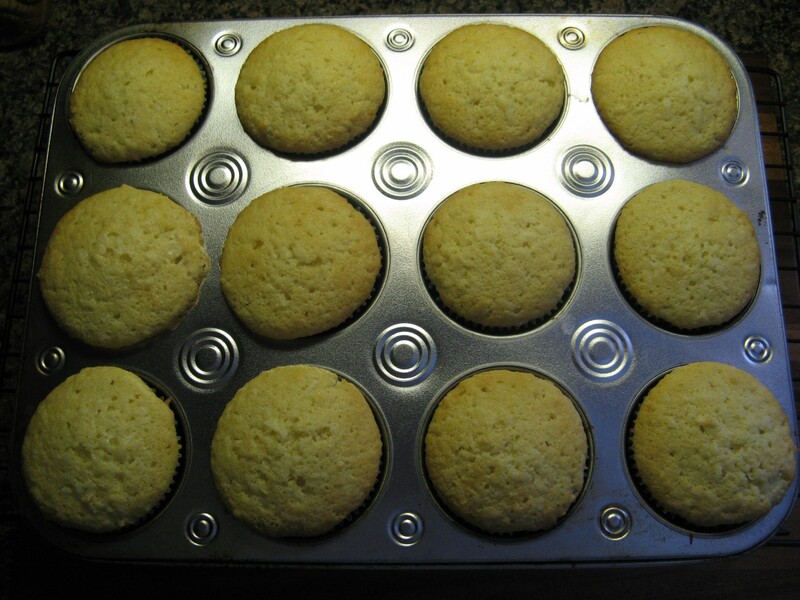 Allow the cupcakes to cool in the pan for 15 minutes before transferring them to a wire rack to cool completely. 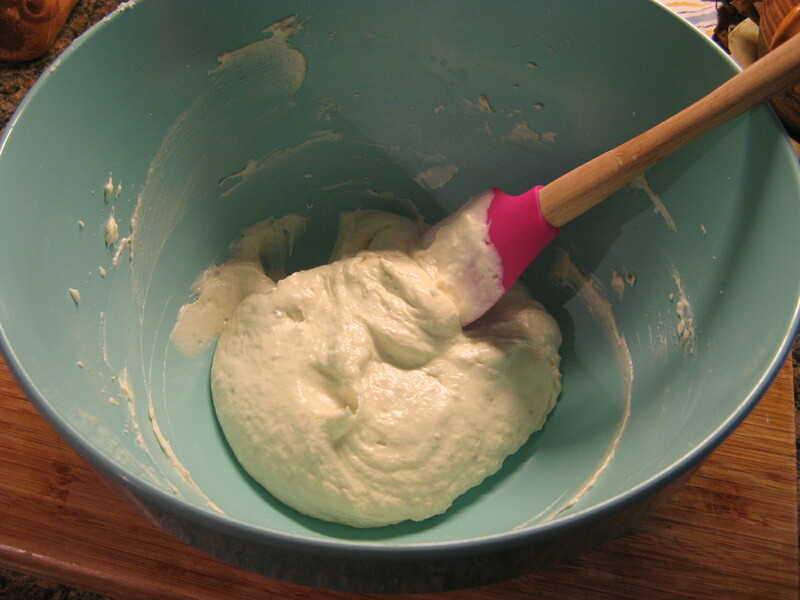 Cream together the cream cheese, butter, key lime juice and zest until creamy. Add in the sugar, one cup at a time, and continue mixing until all of the sugar is incorporated. If you find that the frosting is too soft, pop it into the refrigerator for a few minutes so it can firm up before using it. I have a confession to make; I have never had a s’more. It sounds like a good combination, a roasted marshmallow sandwiched between two graham crackers and a piece of chocolate; then again, I am not a big fan of marshmallows. I used to love them as a child but somewhere along the way I just wasn’t as keen on them as I got older. And then recently, in the July issue of Real Simple magazine, I came across a recipe for S’mores Cupcakes that I thought of trying but then I had the idea of swapping out the graham cracker crumbs in the cupcake for Nilla Wafer crumbs and because I didn’t think that the marshmallow and chocolate ganache would be the right topping for it I decided to create a banana cream cheese frosting to top it off. 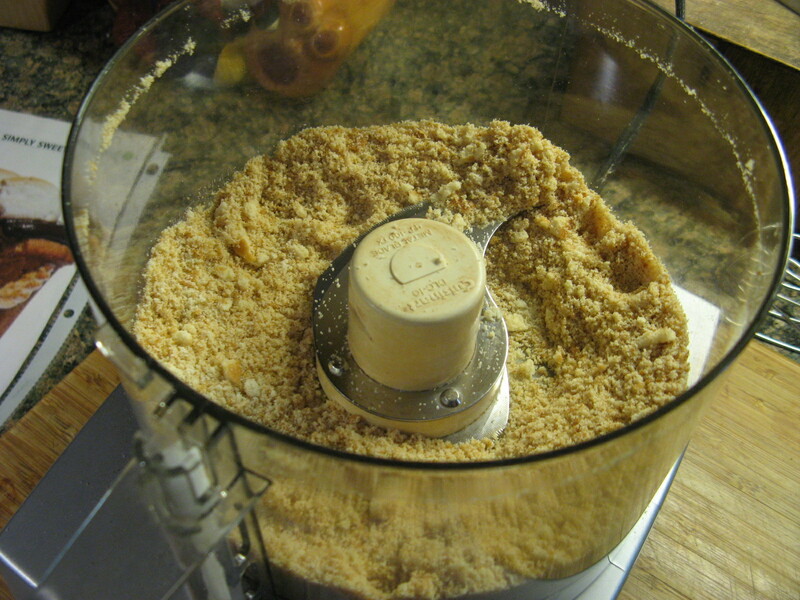 To begin I used a food processor to turn approximately twenty-five Nilla Wafer cookies into crumbs. I then whisked the crumbs in with flour, baking powder and salt. In another bowl I creamed together butter and sugar until it was light and fluffy and then added in two eggs – one at a time – and finally vanilla extract. It was then time to add the crumb mixture along with whole milk to this mixture. I alternated between the crumb mixture and milk, beginning and ending with the crumb mixture, until the batter came together. 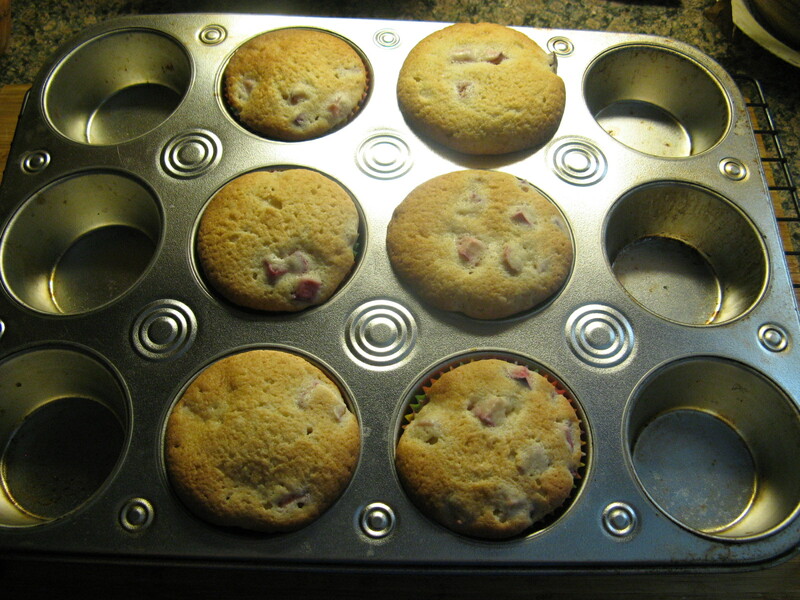 Using my trusted ice cream scoop I filled a 12-cup muffin tin lined with paper liners. After baking for a little over 20 minutes (I rotated the tin halfway through) the cupcakes were done. I let them cool in the tin for 10 minutes before removing them and letting them cool completely on a wire rack. 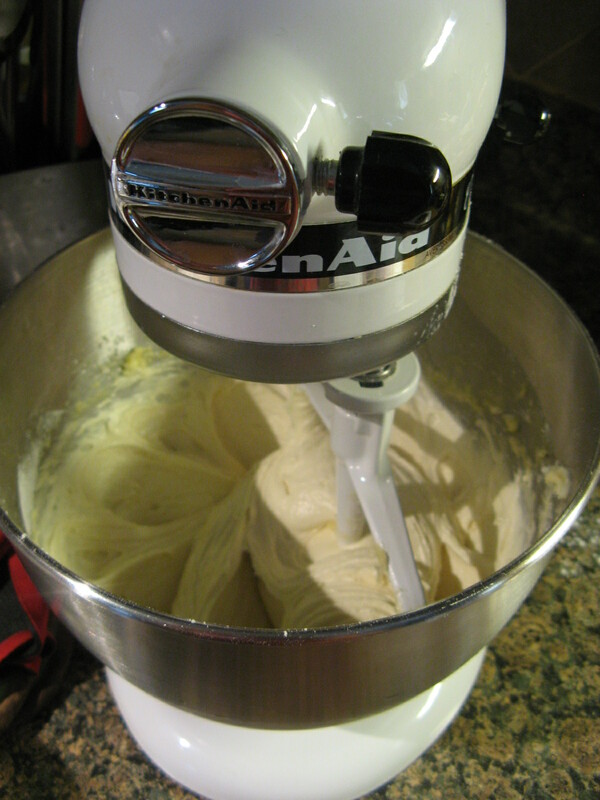 And then it was time for the frosting… To begin I used an electric mixer to beat an overripe banana to “liquefy” it. Following that I added in one stick of butter and an 8 oz. bar of cream cheese – both at room temperature – and creamed them together until they were incorporated. To sweeten the frosting a bit I added in 1/2 cup of confectioners’ sugar 1/4 cup at a time. I ended up with a frosting that was quite fluffy. While it wouldn’t have been a bad idea to let the frosting sit in the refrigerator for a few minutes so it could stiffen up a bit, I opted to frost with it immediately. Final verdict… A winning flavor combination! 1. 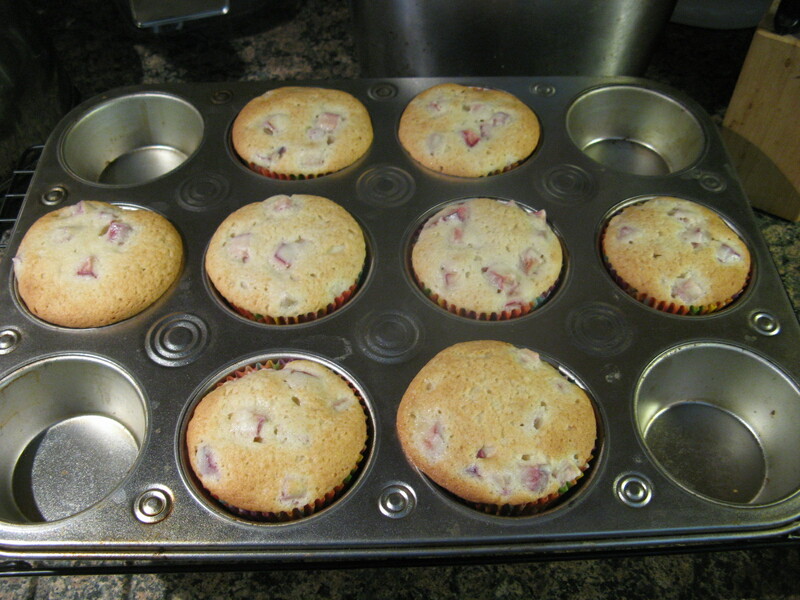 Heat the oven to 350 F and line a standard 12-cup muffin tin with paper liners. Whisk together the Nilla Wafer crumbs, flour, baking powder and salt in a medium bowl. 2. 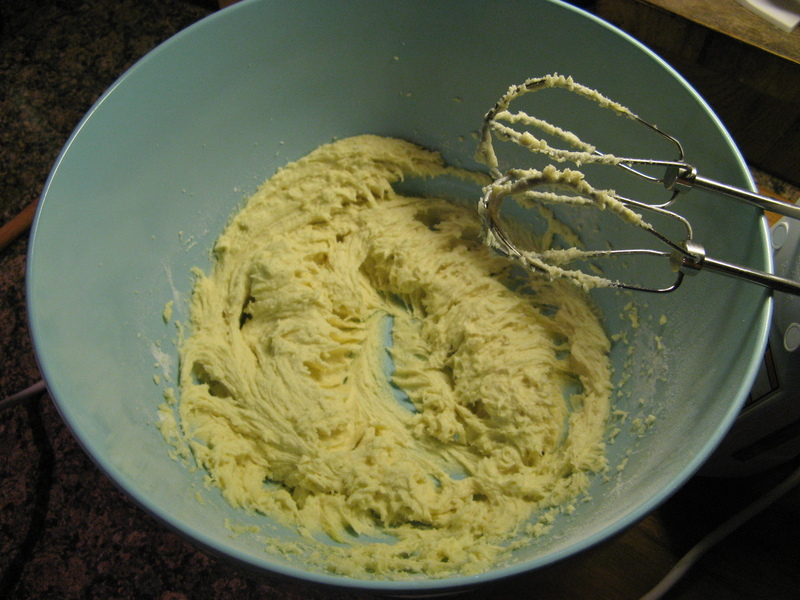 Beat the butter and sugar in a separate bowl with an electric mixer until light and fluffy, 2 to 3 minutes. Beat in the eggs, one at a time, then the vanilla extract, scraping down the sides of the bowl as necessary. 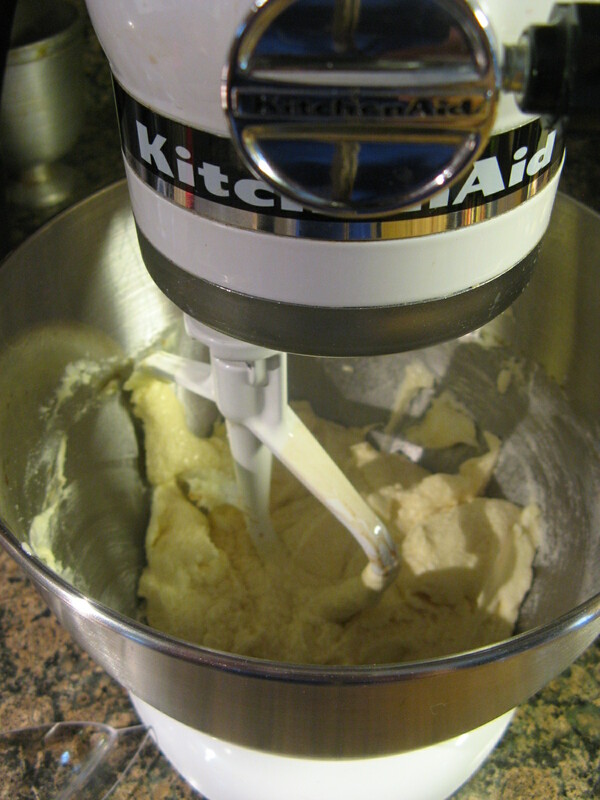 Reduce the mixer to low and add the dry ingredients and milk, alternately, beginning and ending with the dry ingredients and mixing well between additions. Mix until just combined. 3. Divide the batter among the muffin cups. Bake, rotating once, until a toothpick inserted in the center of a cupcake comes out clean, 20 to 24 minutes. Cool in the tin for 10 minutes; transfer to a wire rack to cool completely. 1. 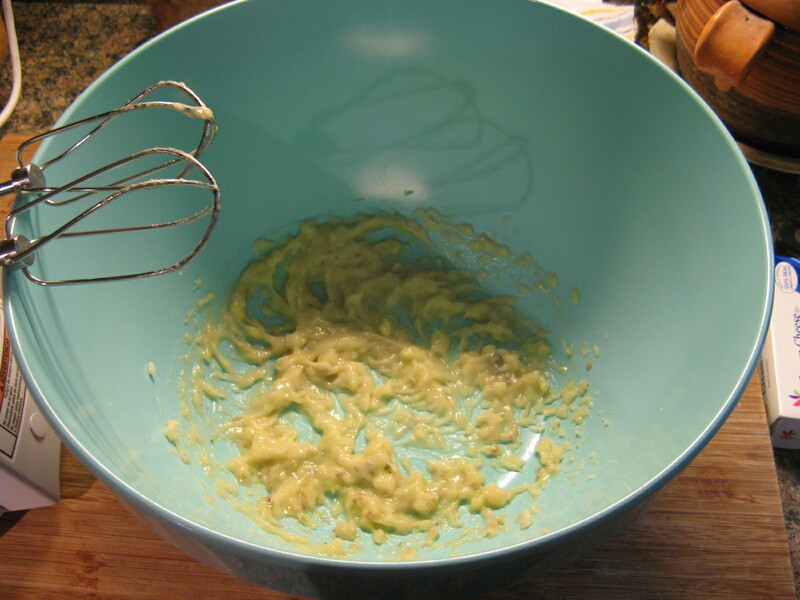 Beat the banana with an electric mixer on medium speed to “liquefy” it. Add the butter and cream cheese and continues mixing until all of the ingredients are well combined. 2. Beat in the confectioners’ sugar in 2 additions – 1/4 cup at a time. Continue mixing until the sugar has been completely incorporated. Last week I took a mini road trip which of course meant I had to bake some yummy treats for the drive. 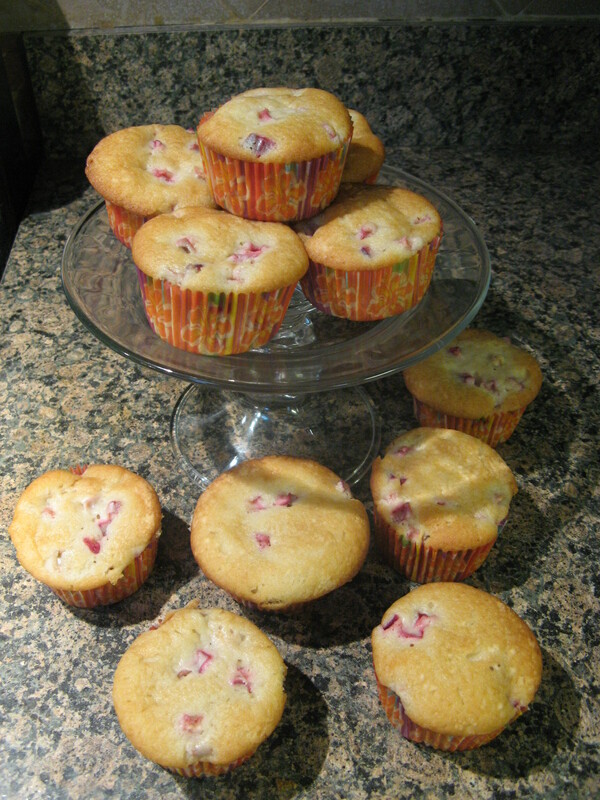 I didn’t want to make anything that could possibly spoil so I settled on trying a cupcake recipe that didn’t call for the cupcakes to be frosted – mini Raspberry Ripple Cupcakes. I’ve wondered whether an unfrosted cupcake would qualify as being a muffin and after a few Google searches I haven’t been able to get a concrete answer on that one. Do you guys have any ideas on that? 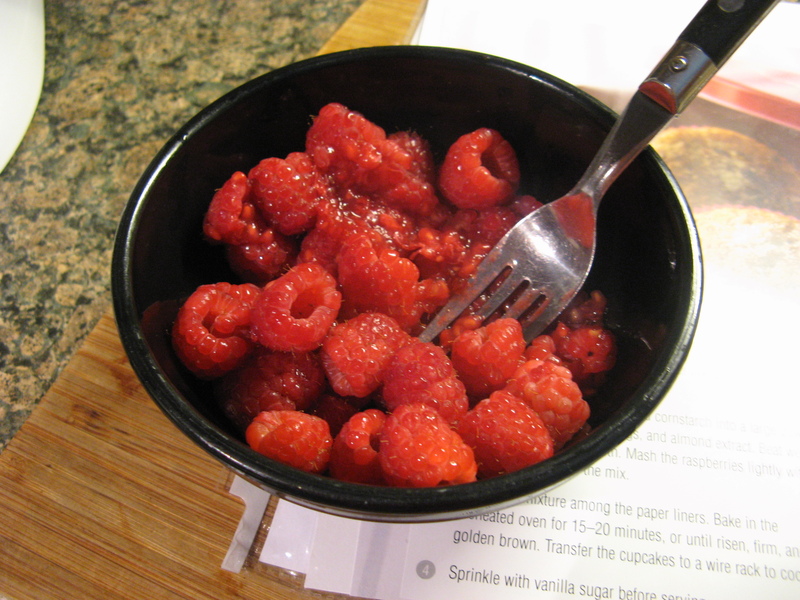 To begin, I lightly mashed a cup of fresh raspberries with a fork. 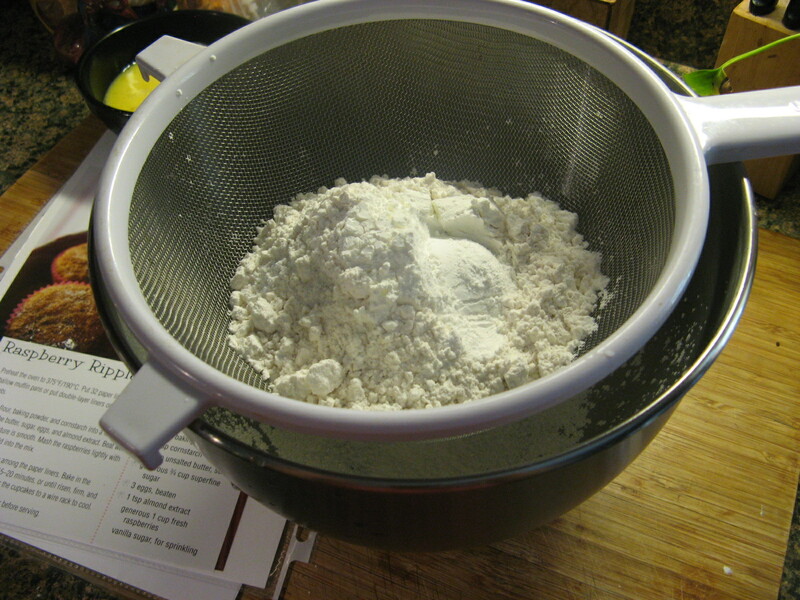 I then sifted flour, baking powder, and cornstarch into the bowl of my stand mixer. I then beat all of the ingredients together until the mixture was smooth. 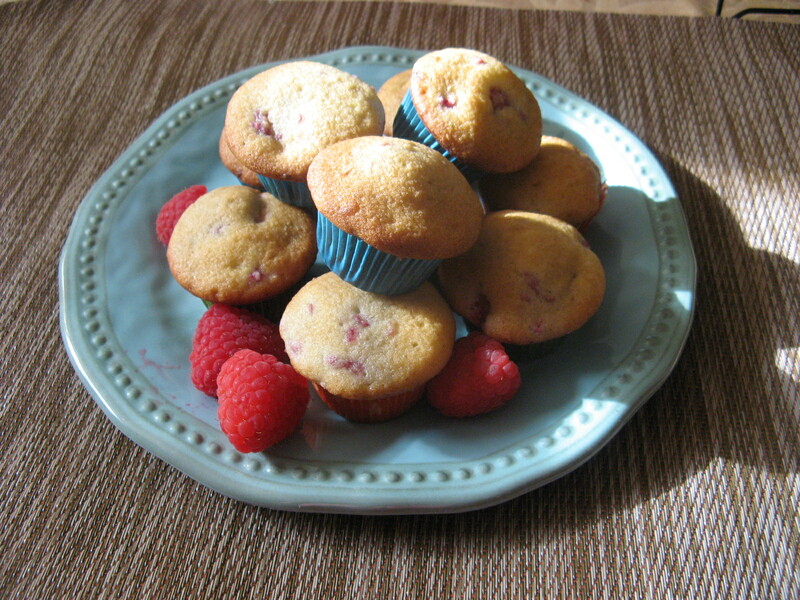 And finally I folded in the mashed raspberries. And that was it… Sometimes you have to relish those recipes that are super quick to put together! After dividing the batter among paper lined mini muffin tins I baked them in a 375 F preheated oven for about 20 minutes. Once I removed them from the oven I transferred the cupcakes to a wire rack to cool completely. 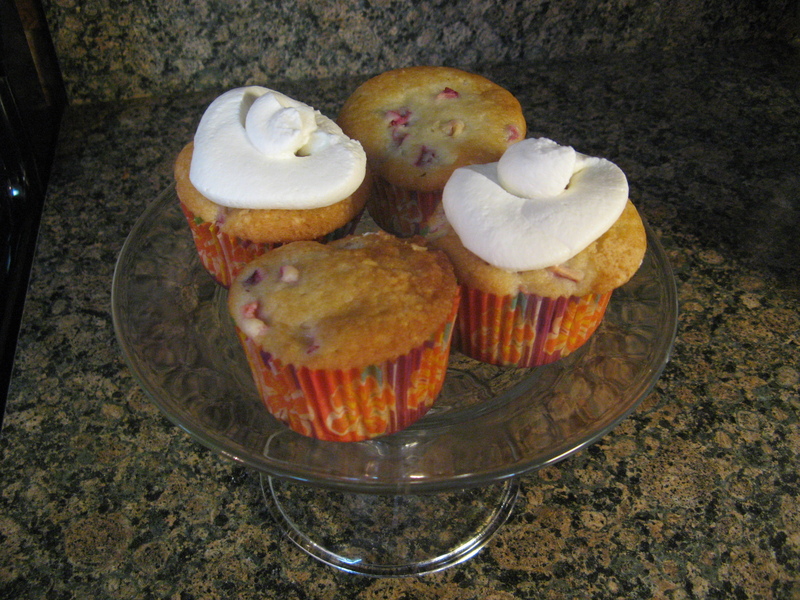 And of course I had to try a few before heading out on said road trip and they were super delicious… Moist and fluffy bursting with the flavors of almond and raspberries. Yum! 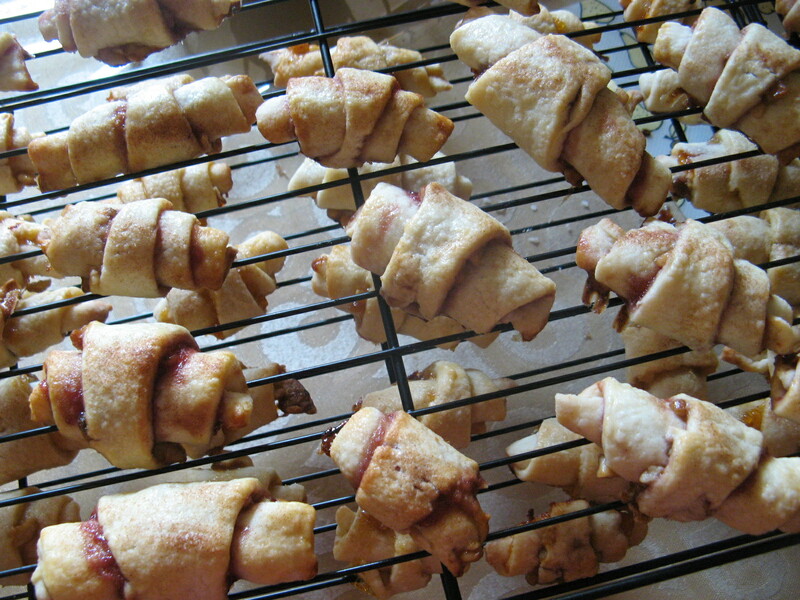 To go along with these cupcakes I also made a batch of rugelach. Both of which were a hit with my fellow road trippers… We came back with empty tins! 1. Preheat the oven to 375F. Put 32 paper liners into shallow muffin tins. 2. Sift the flour, baking powder, and cornstarch into a large bowl and add the butter, sugar, eggs and almond extract. Beat well until the mixture is smooth. Mash the raspberries lightly with a fork, then fold into the mix. 3. Divide the mixture among the paper liners. Bake in the preheated oven for 15-20 minutes, or until risen, firm and golden brown. Transfer the cupcakes to a wire rack to cool. *Unfortunately I cannot tell you the origin of the recipe as I ripped it out of a book (I know not so nice, but, my bookshelf was getting a little overloaded) and didn’t make note of which one. 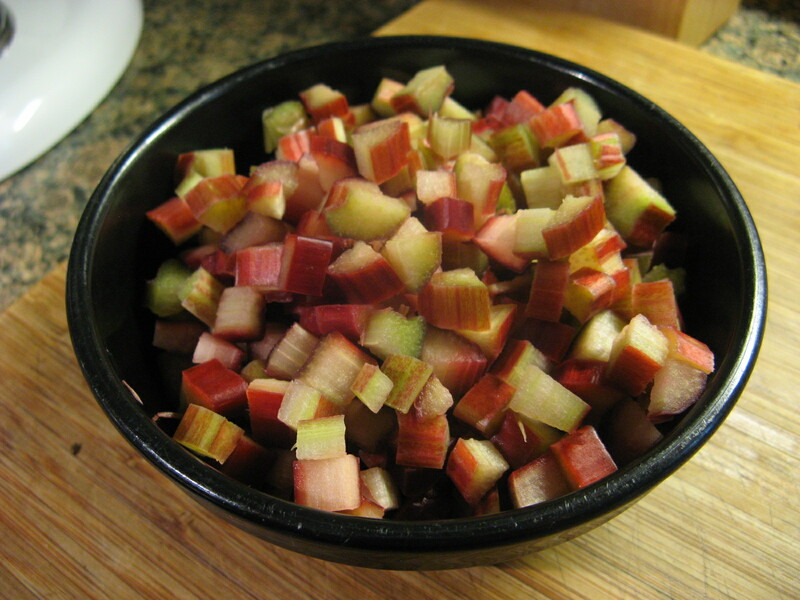 Rhubarb… Those red celery-like stalks that you see in the supermarket during the spring time that you always wonder “what can I make with those?” The usual answer is pie. 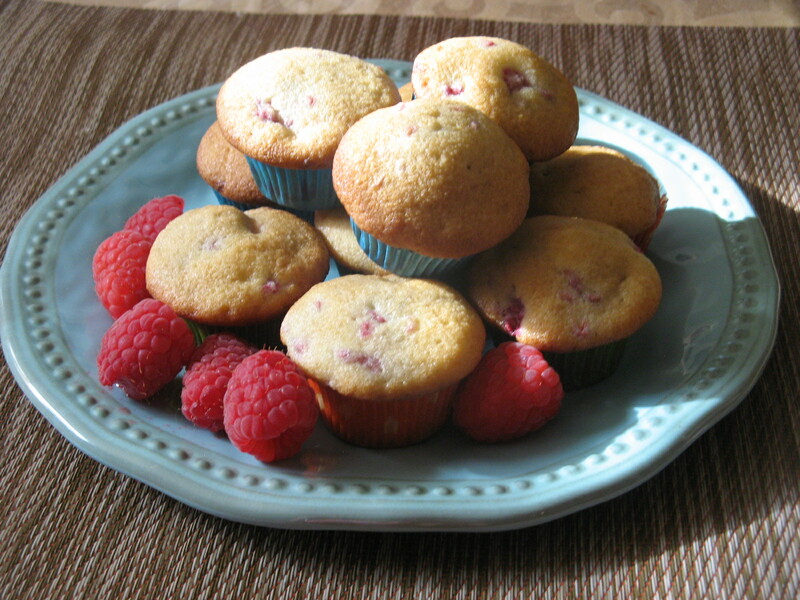 Recently I was at the supermarket and came across them while looking for raspberries and decided to pick up a pack unsure of what I was going to make with them and then I remembered a cupcake recipe I had seen in Martha Stewart’s Cupcakes cookbook. Before whipping up the batter, I did a little prep work. 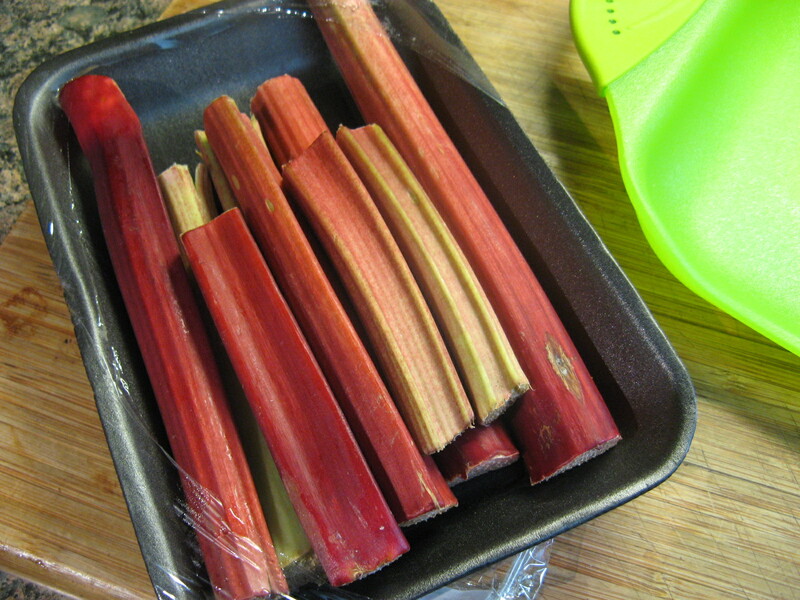 I whisked together flour, baking soda, baking powder and salt in a bowl and set it aside and I diced up enough rhubarb for 2 cups. Then, in the bowl of a stand mixer I creamed together one stick of butter and one cup of sugar until it was pale and fluffy. And then added in two eggs one at a time and finally vanilla extract. 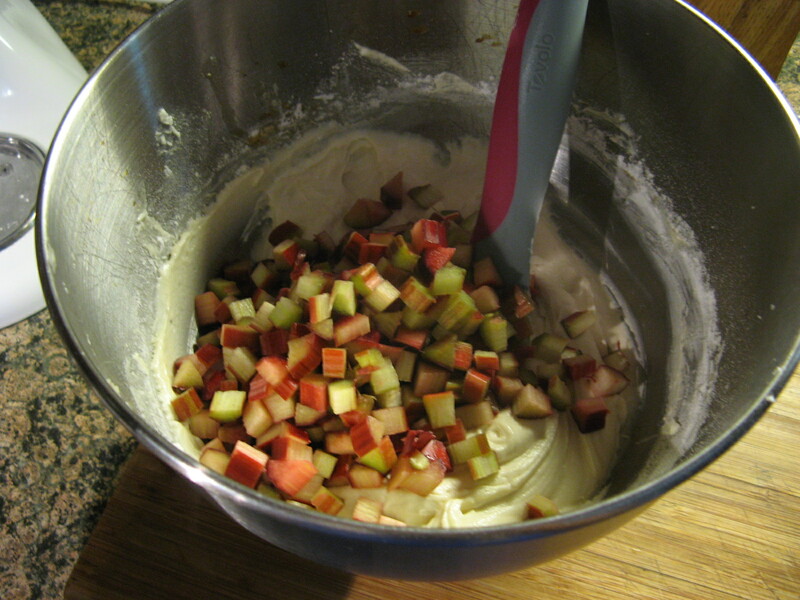 Now it was time to incorporate the flour mixture, rhubarb, and sour cream into the butter mixture. 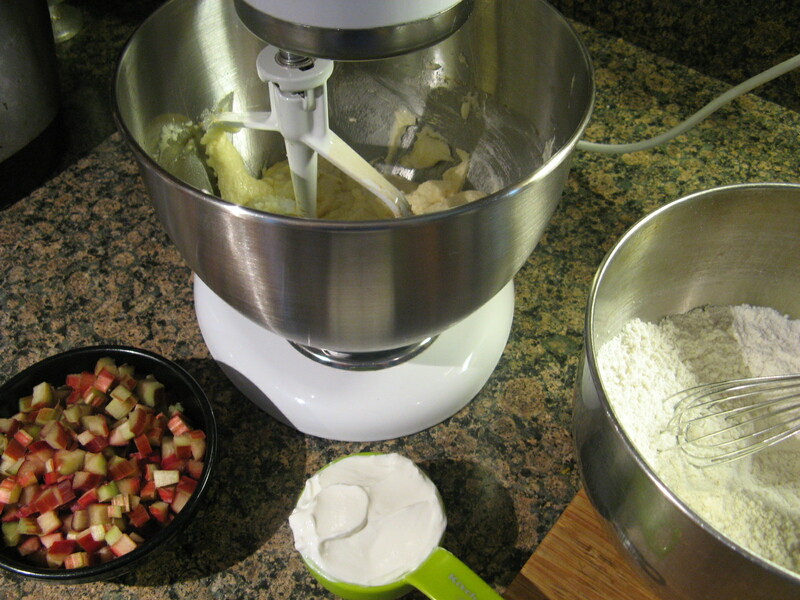 With the mixer on low speed I added in the flour mixture in two batches, alternating with the sour cream and then folded in the diced rhubarb. Following that I divided the batter among lined cupcake tins and baked them in a 350 F preheated oven for 25 minutes, rotating halfway through. 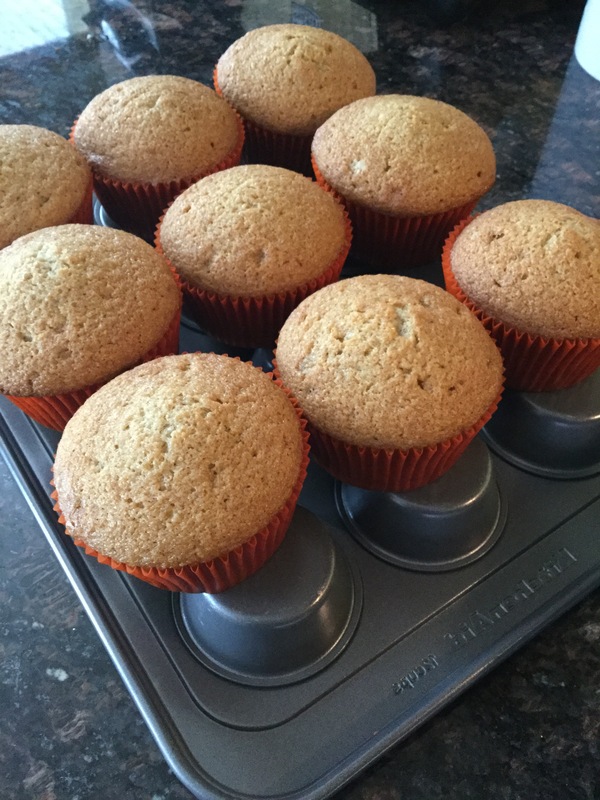 The cupcakes right out of the oven… I immediately transferred them to wire racks so they could cool completely while still in the pan. 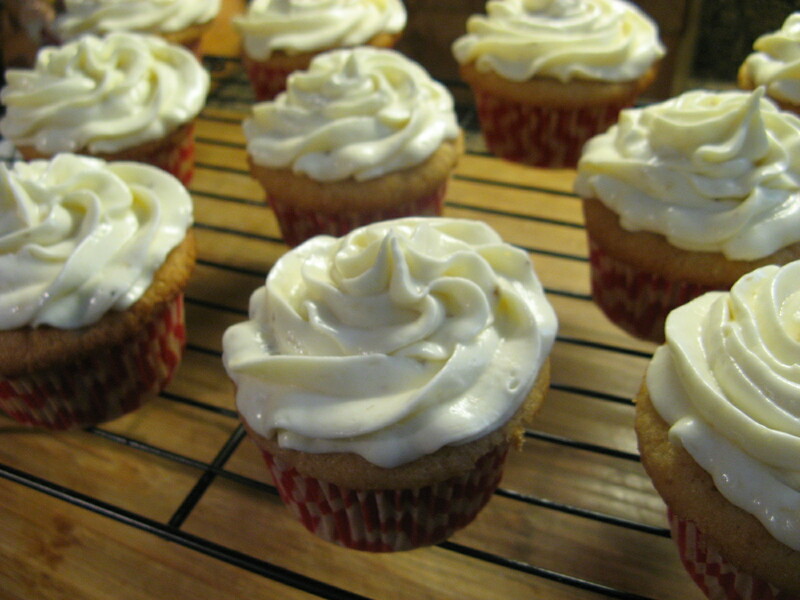 While these cupcakes were delicious all on their own, I decided to whip up a batch of whipped cream to top them. These cupcakes were incredibly moist and fluffy… The way a perfect cupcake should be! After making these I am in no rush to try rhubarb pie. 1. 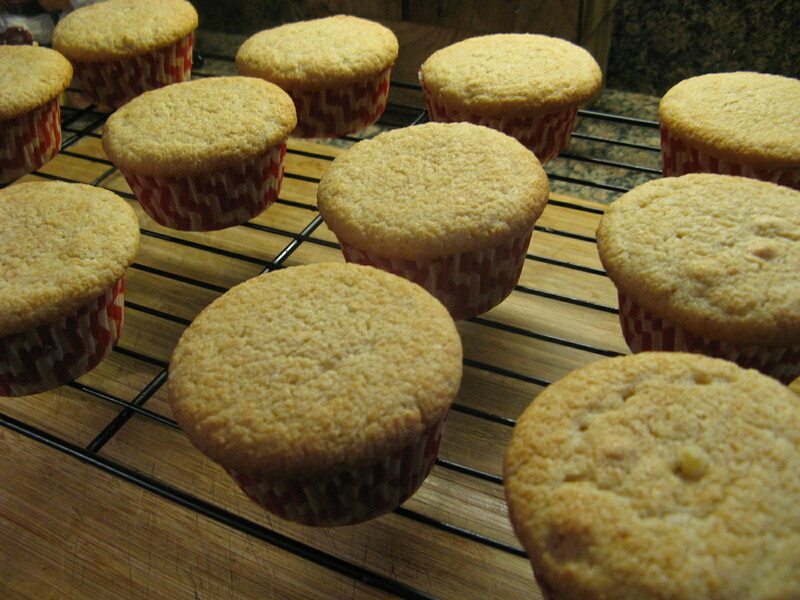 Preheat oven to 350 F. Line standard muffin tins with paper liners. Whisk together flour, baking soda, baking powder, and salt. 2. With an electric mixer on medium-high speed, cream butter and sugar until pale and fluffy. Add eggs, one at a time, beating until each is incorporated, scraping down sides of owl as needed. Beat in vanilla extract. Reduce speed to low. Add flour mixture in two batches, alternating with the sour cream, and beating until combined after each, Stir in diced rhubarb. 3. Divide batter evenly among lined cups, filling each three-quarters full. Bake, rotating tins halfway through, until a cake tester in centers comes out clean, about 25 minutes. Transfer tine to wire racks to cool completely before removing cupcakes. 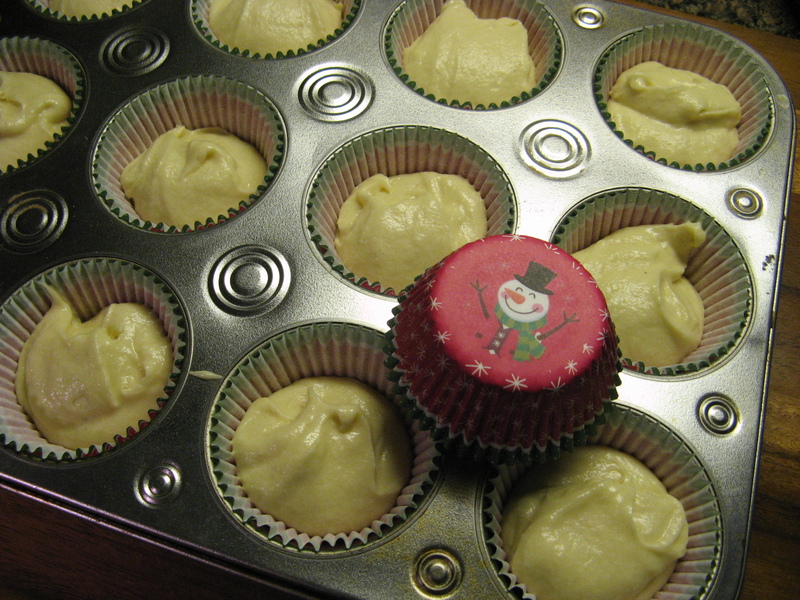 Cupcakes can be stored up to 3 days at room temperature in an airtight container. 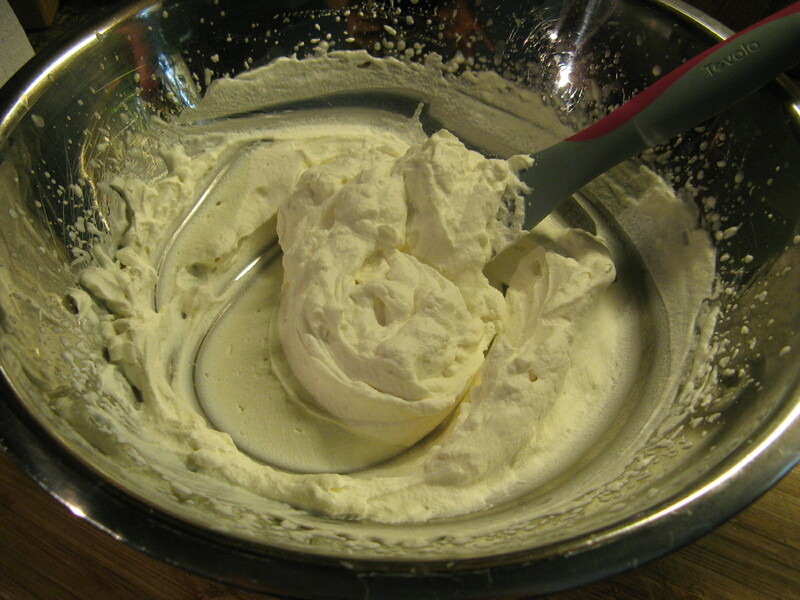 Whip cream in a large bowl until soft peaks form. Add in the confectioners’ sugar and vanilla extract and continue whipping until stiff peaks form. 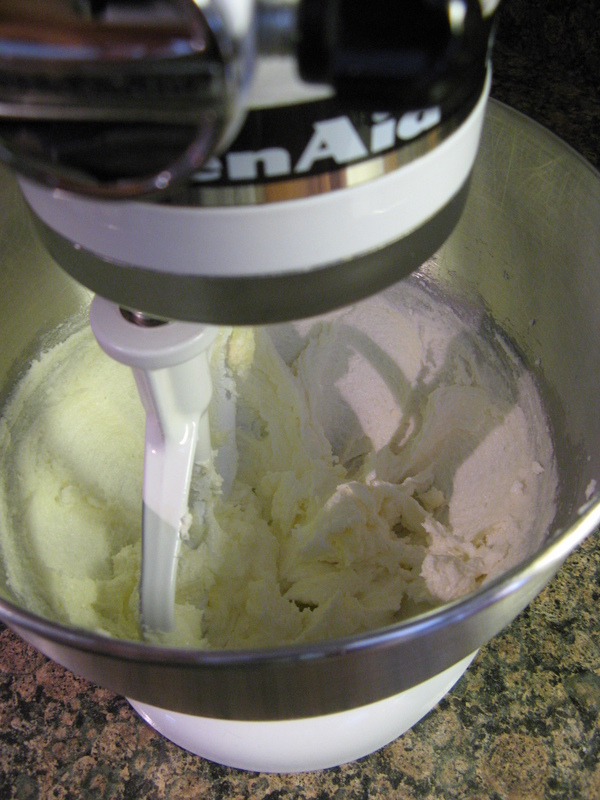 I usually place the whisk attachment for the mixer and bowl in the freezer for about 15-30 minutes prior to making the cream.